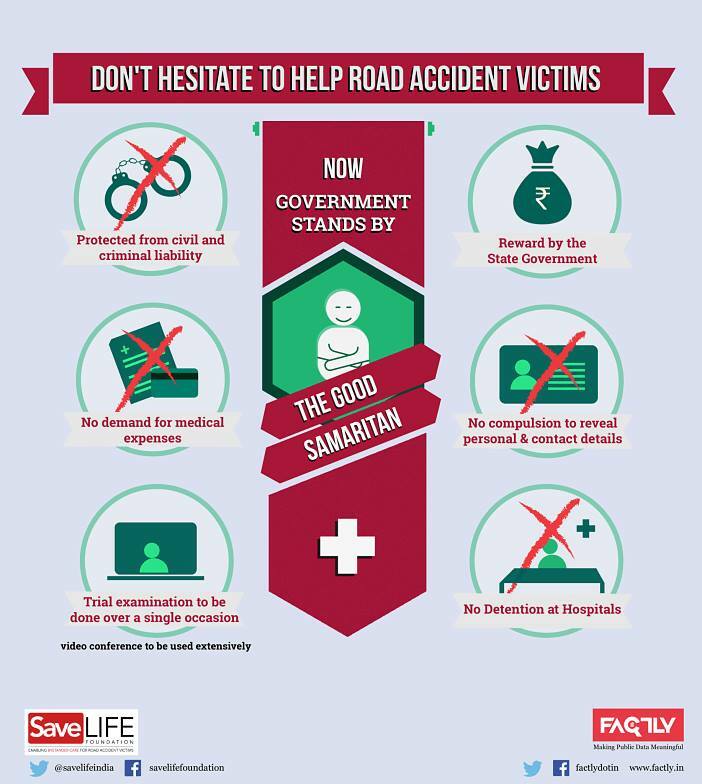 Don’t hesitate to help the road accident victims. The government has now notified guidelines for the protection of the Good Samaritans. The Ministry of Road Transport and Highways (MoRTH) has finally notified guidelines to protect Good Samaritans, who come forward to help road accident victims, from legal and procedural hassles. The guidelines were officially notified on 13th May, 2015. The notification said that the Government considers it necessary to protect the Good Samaritans from harassment on the actions being taken by them to save the life of the road accident victims . Let’s hope that these guidelines will encourage more and more people to help accident victims and take them to the hospital. Posted on June 16, 2015 Author yazdiCategories Traffic / Roads etc. Next Next post: What is Deemed Conveyance ?